Feb. 13-16: Mardi Gras Montana –style. In the Mardi Gras “Ski for Beads” event, you show your Lone Mountain Ranch XC ski trail pass and receive festive Mardi Gras beads. Try a tasty New Orleans Fat Tuesday lunch in the dining lodge on Feb. 16 (from noon to 2) and you’ll find lots of Louisiana specials. Sleigh and Stay special. One night’s lodging in a cozy log Lone Mountain Ranch cabin, a sleigh ride dinner and breakfast the next morning in the Ranch Dining Lodge. Details: $195 per person (based on double occupancy). Winter Getaways – One or two nights. One night Lone Mountain Ranch Getaway includes lodging in a cozy log cabin, dinner and breakfast in the Ranch Dining Lodge. Details: $195 per person (double occupancy). Two night getaways include two night’s lodging in a cabin, two dinners, one lunch and two breakfasts in the Ranch Dining Lodge; $195 per person/per night (based on double occupancy). For our December news roundup, we’re continuing to roll out new features for the blog. Last month, we introduced Newsflash, Hot Deals, and Tips from the Ranchers. New to the blog this month: The Smart Ranch Traveler: suggestions on ways to save money on a ranch vacation. Stylish Dudes: New stuff ranchers/guests are wearing at the ranch. And Green Dudes: about new environmentally-friendly practices ranches have introduced. Happy holidays! 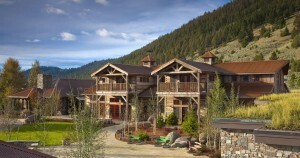 It’s the newest guest ranch in the West, set to open in May 2010 (but with a soft opening this month, see below). Set roughly halfway between Butte and Missoula, Montana, The Ranch at Rock Creek is a 6,800-acre ranch, anchored by the stylish Granite Lodge, with its spa, and Silver Dollar Saloon. Two private rental houses and several glam safari-style cabin/tents on platforms by the creek and in the woods augment the lodging. Lucky guests have private access to activities from sleigh rides, ice skating, cross country skiing and snowshoeing, to bowling, shooting sporting clays, and horseback riding. Inside the stone-and-timber Granite Lodge, guest rooms are decorated in iconic Western themes, but include all the comforts and luxury of a high-end hotel. It’s all the vision of investment banker Jim Manley, who spent 30 years searching for the perfect setting for a ranch that he’d dreamed of owning since his youth (when Bonanza was his fave show). 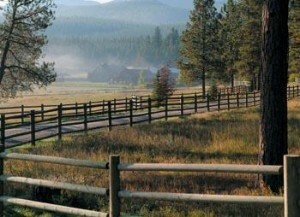 This unique combination of the authentic ranch setting with luxury amenities, five-star equivalent food and wine, and state-of-the-art facilities is right here in the American West. While the facility is new, it retains a sense of place and fits the surrounding environment perfectly. In summer, the fun is endless: angling on blue-ribbon trout streams, mountain biking, archery, target shooting at sporting clays, hiking, or horseback riding in the famed big sky country. Nearby, you’ll find ghost towns, battlefields and museums to roam, rodeos, parades, and wildlife to watch. At some point, after all that action, you’ll want to relax and rejuvenate at the ranch’s full service spa. Or maybe just hang out and enjoy the wine pairing, tea and cookies, and four-star level cuisine. “Guests have exclusive use of the 6,800 acre ranch, including The Granite Lodge, Spa, and Silver Dollar Saloon, plus private access to all activities, and everything ‘big sky country’ has to offer,’ notes General Manager Paul Robertson. Details: The ranch celebrates its official grand opening in May 2010; starting rates (includes meals, activities) in May: rooms from $800 to $950 per person per night, tents from $825 to $1150; houses rent for $5000 to $6200 per night. This holiday season, private groups may get a sneak preview. Starting on December 17, The Ranch at Rock Creek is open for private groups who book the entire facility.It includes downhill skiing at nearby Discovery Basin with 60+ runs of all skill levels, horseback riding, on-ranch cross-country skiing and snowshoeing, massage treatments, and so much more. “Share this unforgettable western destination with your best clients and they will always be grateful.” For the holiday season, the all-inclusive package price starts at $17,600 per night; for details, please call 888/-757-2624. From her desk at Sandpoint’s Western Pleasure Guest Ranch, Janice tells us, “We are trying something a little different this year at the ranch with our sleigh rides.” Indeed. They’re hosting A Simple Christmas – Sleigh Rides And Christmas Trees beginning Sunday, November 29 and ending December 19 or until trees are gone. 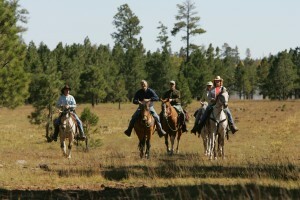 So gather the family together, bundle up and get ready to enjoy this family outing at the Western Pleasure Guest Ranch. First, you’ll load up on a horse drawn sleigh and ride through the forest out to the tree lot. Pick out your own fresh cut, locally-grown Christmas tree, warm up at the bonfire, then hop back into your sleigh and ride back to the lodge where for popcorn, hot chocolate, and coffee. Reservations are required and available. Cost including tree is $90 plus tax for a family of four. Each additional person is $15.00. Kids five and under are free. If there is not enough snow, wagon rides will be substituted. In Clinton, B.C., the Big Bar Guest Ranch offers a Christmas Package with a difference. “This year we are presenting a Danish Christmas,” our friend Susan notes. “This special Christmas will be complete with ceremonies and specialties from Denmark.” Following the Danish tradition, they’ll be celebrating Christmas on December 24. At Canada’s Tod Mountain Ranch, Christmas is a pretty big deal. “We take a traditional approach to the Christmas holidays. Our Christmas tree, which was grown here on the ranch, will be decorated with hundreds of twinkly lights and shiny baubles,” says Tracey. During the day, relax and enjoy the comfort, calm and tranquility of the ranch. Go hiking, snowshoeing or cross country skiing on ungroomed trails around the ranch. Visit Sun Peaks Resort (just 15 minutes away) for downhill and cross country skiing, snowboarding, snowmobiles. Sun Peaks has 100 runs open on all three mountains and we hear it has snowed pretty much every day for the past three weeks. But the ranch is down in the valley with warmer weather and less snow plus the quiet, calm, relaxing environment of the ranch. Christmas Special Package: December 23- 28 ($125 per person per night). On Christmas Eve, after dinner, you can join the local ranchers at the annual carol service at our country church followed by mulled wine and mince pies back at the ranch. Dinner on Christmas Day will be a traditional Christmas feast with roast turkey, baked ham and all the trimmings. dog sledding and sleigh rides. You can even ski with Santa at Sun Peaks on 23rd and 24th December. Rate includes accommodation, all meals, unlimited non-alcoholic drinks & snacks throughout your stay and use of all ranch facilities. Set in a lush reserve in Argentina’s Cordoba Hills, Estancia Los Potreros dates from 1574 and is deservedly proud of its heritage. 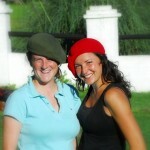 Travelers to the ranch often come away imbued with the Gaucho spirit that permeates the ranch. Happily, they can take away something more tangible as well. Shown at right is the boina headgear worn by Estancia Los Potreros gauchos. “This is the ‘new stuff’ we all wear on the ranch,” our friend Robin tells us. 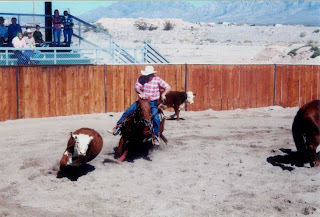 “They attract such respect that even the men wear them.” And you can buy boinas on the ranch. We also wanted to mention the Estancia’s Environmental Memorandum, which may be reason enough for some environmentally-conscious travelers to visit the farm in Argentina. The owners have a passion for conservation and the preservation of the environment. They cherish the farm’s spring water and use wind and solar energy. “We take inspiration from a Native American Proverb,” says Robin. “It goes: We do not inherit the earth from our ancestors, we borrow it from our children”. Well said. For more, read their philosophy in full by clicking here. Audrey at Arizona‘s Hidden Meadow Ranch just sent me a note about their upcoming Wild West Rodeo Month, June 1-30. It sounds like a blast. Wild West Rodeo Month includes all Hidden Meadow Ranch’s normal equine-related activities (trail rides, etc.) plus a whole lot more. Special activities include: thorough saddling/grooming lessons (encouraging a more hands-on approach to the horse experience); two all-day off-property rides to Mt. Baldy and Mt. Escadilla (two of the three highest points in Arizona), complete with lunch on the trail; arena games including the wild horse catch, egg and spoon race, barrel racing, ribbon race, and many more; horse training demos; roping demonstrations and lessons; a cattle drive with faux cows; and probably everyone’s favorite, team penning competitions (with rented cattle!). Nestled on 150 acres of private land in the heart of the White Mountains, Hidden Meadow Ranch is an all-inclusive hideaway replete with 12 rustically-elegant log cabins, unparalleled amenities, exceptional service and cuisine, and year-round family activities such as hiking, fly-fishing, archery, canoeing, leather-making, horseback riding and much more. If a hearty breakfast is the best way to start the day, then the New Mexico Farm & Ranch Heritage Museum’s 10th annual Cowboy Days festival should get off to a good start. Held in Las Cruces, New Mexico at one of the West’s premier museums celebrating farming and ranching, Cowboy Days is set for March 14-15. For many, however, the fun begins at 8 A.M. each day with the cowboy breakfast. A chuck wagon cook will create an authentic cowboy breakfast featuring Dutch oven favorites such as biscuits and gravy, and eggs and bacon (tickets $9 in advance, $10 on the day). Cowboy Days admission is included in the price of the breakfast tickets. The festival includes live western music, living history fun, and arts and crafts show and a Charreada (Mexican style rodeo), horsemanship demonstrations, rides, and more.Cowboy Days also marks the opening of an extensive new exhibit at the museum. “A Most Terrible Wonder: Firearms from 1600 to 1900” features dozens of guns from the museum’s collections. For more information, please call 575/ 522-4100 or click here. And why not visit a New Mexico ranch while you’re there? The Geronimo Trails Guest Ranch , open year-round, offers a real Old West adventure set in southwest New Mexico’s Gila National Forest. 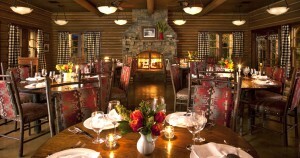 Or check out The Lodge at Chama. It’s a world-class outdoor sporting destination and outstanding corporate retreat on 36,000 acres with supurb lake trophy trout fishing and one of the worlds largest private elk herds.